One of the most marvellous and fascinating attributes of the human eye and brain is the ability to ‘home-in’ on one tiny part of the complete picture that we are viewing. This allows us to minutely examine one element of that image disregarding, during that period of examination, what we wish to ignore or, in modern parlance, the extraneous data. 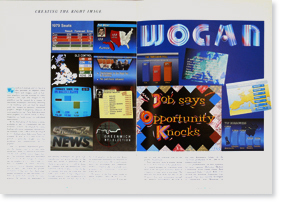 Baseline’s broad theme of ‘type’ enables us to zoom in on the effect on a serif as a scanline crosses it on a television screen, or broaden our focus to encompass the life’s work of an internationally renowned type designer. 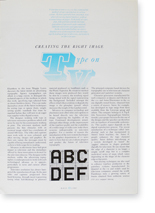 In this issue we step back for a while from the close consideration of the development of that particular set of shapes which makes a typeface. We shift our focus from the presentation of new alphabets to the way in which those designs are used, in typography. Great type designers and men of lettering like Hermann Zapf and Edward Johnson could devote the most intimate attention to a single character shape and yet be equally concerned with the broader frame, the correct arrangement of these letters. In this wider typographic field of vision we can critically examine the way in which messages are presented. Maggie Lewis looks at current fashions in advertising typography where some evidence suggests that an increased ability by the practitioner to focus more closely on the subtleties of his task could create some improvements. When the message presented to us represent the preoccupations of our political leaders we need the facility to focus beyond the immediate image. Stretching our theme of type to encompass the art of the poster serves to also sharpen our non-visual perception. We should enjoy the visual feast without losing sight of its objective. 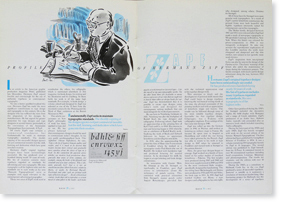 Walter Tracy’s book Letters of Credit is one of the books reviewed in our pages. 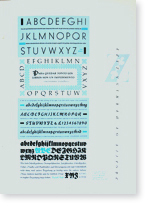 He argues that the typographer is a twentieth century phenomenon. We accept this, recognizing the professional task of specifying type and making those arrangements of letters which best suit the purpose, then stretch the definition to include designers selecting and composing type for our television screens. When considering the shape of a counter or the length of a serif it is unlikely that Miedinger or Zapf, during the creation of Helvetica or Optima, foresaw the technological metamorphosis that the alphabets would undergo as they were broadcast via a television signal. 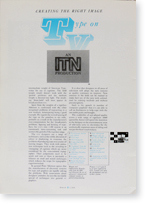 Success in the use of type in TV must ultimately depend on designing new type for the medium and striving technically to develop systems that will provide an authentic image. When we see good type in our complete television picture we should be grateful that our contemporaries still have the ability and the concern to focus on those small and specialised areas of type and technology that in the end make the difference between good and bad. 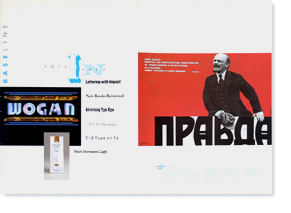 On these pages we combine two themes; Cyrillic lettering and Russian poster art. 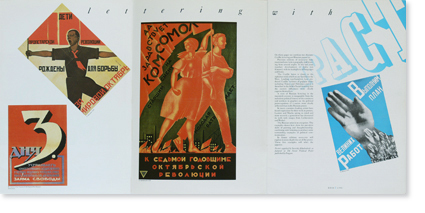 Previous editions of Baseline have examined non-Latin typography and lettering from several angles. 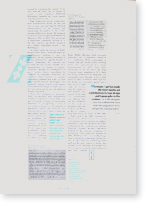 In the last issue typeface development in India was featured, with its multiplicity of languages and forms. In an article in the American graphic production magazine ‘Print’, published last December, Hermann Zapf argued forcibly and convincingly for the use of authentic typefaces in contemporary typography. 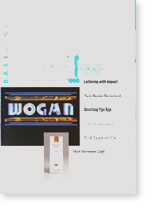 ©1987 Published by Esselte Letraset Ltd.